For fans of the Baltimore Orioles, there has not been much to cheer about in recent seasons. That seems to be changing with the team’s performance so far in 2012. The team currently holds down first place in their division, leading the Tampa Bay Rays and the New York Yankees. However, that was not always the case. 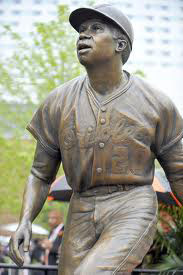 There was a time when the Orioles were one of the more impressive teams, and the team itself is acknowledging that by unveiling six bronze statues of their great players this season. 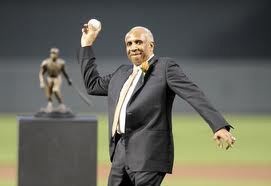 One of those greats is none other than Frank Robinson. Robinson is a Hall of Fame inductee and a man who has done impressive things for the game of baseball. He is the one and only player to ever win the league MVP award in both the American and National Leagues. He also set incredible records and stats both as a player and as a manager. Robinson started out playing for the Cincinnati Reds organization. He started out great and earned Rookie of the Year honors his very first season playing for Cincinnati. He had what was a record number of home runs for a rookie that season with 38. He helped the team win the National League championship in 1961, the first year Robinson also won the MVP award. In 1962 he had a year that was even more impressive when he finished the season with a batting average of .342 and had 51 doubles, 136 RBI and 134 runs. The team made another appearance in the World Series that year, but lost to the Yankees. Just before the 1966 season Robinson was traded to the Baltimore Orioles. Although the Reds got three players in return, many feel that it is one of the most lop-sided trades in the history of the game. Robinson was only 30-years-old and he had plenty more to give. In his very first year in an Orioles uniform he got the league Triple Crown, which meant he lead the league in home runs, RBI and batting average. He also became the only player to ever hit a ball completely out of the Orioles’ original ball park, Memorial Stadium. In 1966 he helped the Orioles get into the post season. Then he helped the team win the World Series. He was the series MVP for his role in that victory. He had two home runs, one in the first game of the Series and then another in game four. He did more impressive things while in an Orioles uniform. In 1970 he hit back-to-back grand slams. The team was playing the Washington Senators that night and Robinson hit the first grand slam in the fifth and then came back to repeat the effort in the sixth. Overall Robinson had 586 home runs. He also had an overall batting average of .294. He had 2, 943 hits and 1,812 RBI. He was also a 14-time All Star, two-time World Series Champ. He even became the American League Manager of the Year in 1989 with the Orioles. Now, the team that was with him when he set most of his records and that he is most associated has honored him with a bronze statue. April 28 was his special day at Camden Yards as the statue was unveiled for fans. There will be five more statues unveiled for Orioles fans and they will honor Earl Weaver, Jim Palmer, Eddie Murray, Cal Ripken and Brooks Robinson.